You may know that Google Pixel 2 and Pixel 2 XL doesn't have headphone jack which is enough disappointing and on top of that Google also went ahead and priced the USB-C to 3.5mm adapter for the handsets at a steep $20. While the company will bundle one such adapter with the devices, most people are likely to lose them and hunt for replacement units soon after. The steep price led Google to receive a lot of backlash from various online forums. Now, sense seems to have prevailed over at Google as the company has dropped the price of the said adapter from $20 to $9 — a much more reasonable price tag. This new price tag is the same as what Apple charges for its Lightning to 3.5mm adapter. 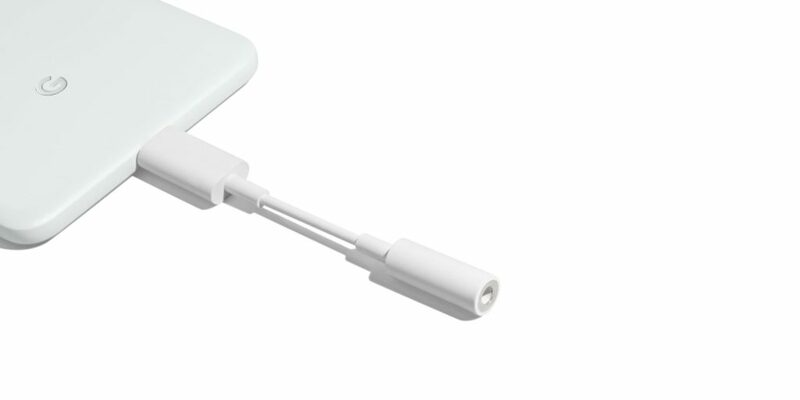 The adapter will make the transition from the 3.5mm headphone jack to wireless audio easier for many. However, a high price tag for the adapter would have acted as a deterrent and would have made many people look for alternative smartphones. With a more reasonable price tag of $9 though, Pixel 2 owners are less likely to fret when they lose the bundled adapter in their box. While the adapter will allow you to listen to music using your existing headphones through your Pixel, you still won’t be able to charge the device while listening to music. For that, you will have to look at alternative dongles from other accessory makers. If you need one of these, click the link below!